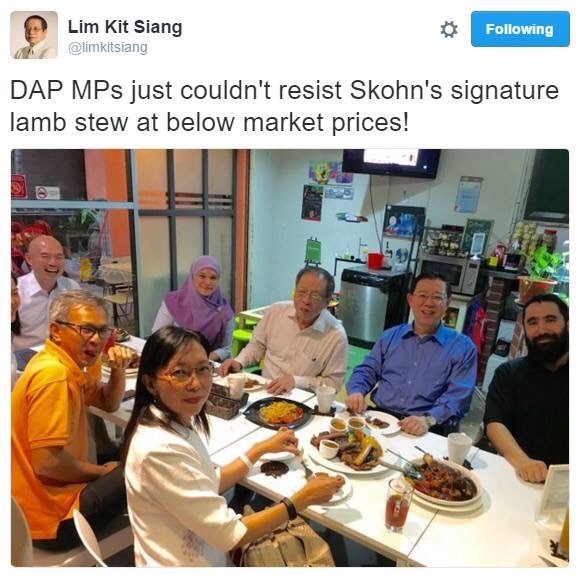 The following picture was uploaded to Twitter by DAP stalwart Lim Kit Siang. I am glad that the DAP have gone ahead and made peace regarding this with Sköhns cafe, thus proving that there are still those in politics with a good sense of humour. PS: I hope they enjoyed the very British lamb stew. OK DAP cybertroopers, your Dear Leader has made his peace with Sköhns. You can stand down now.